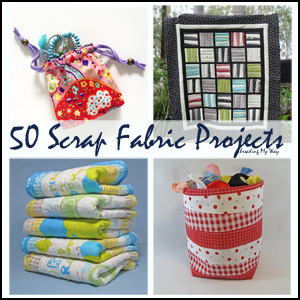 I've finished my bag for the Solids Only Tote Challenge, hosted by Keren, from Sew la Vie! and Rikka, from Ricochet and Away. The Kicker: You must use solid colours only; no prints! Techniques: Use at least one of the following: Appliqué, Reverse Appliqué or Patchwork. Voting: A Polldaddy poll will be set up to determine the winner. Prizes: Winner(s) will receive bragging rights and a snazzy button. Sounds easy enough. Actually, I found it hard to get started. Initially, every design I thought of, incorporated prints. After many sketches, much thinking and lots of procrastinating, I decided on a theme and I was away. Same as for my Retro Pillow, I decided on a flower theme. 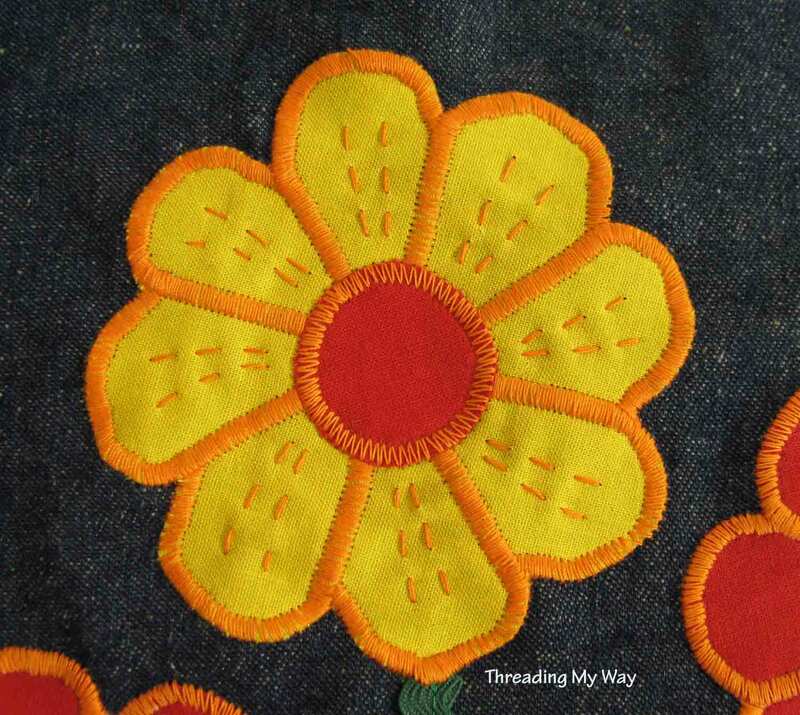 This time, however, the colours are different, there is no hand appliqué, the flower shape is different and the hand stitching is on the flower instead of outside. Double sided fusible webbing was used to attach the appliqué to the fabric. Zig zag stitches, of varying widths and lengths, were used to stop the fabric from fraying and to accentuate the flowers. 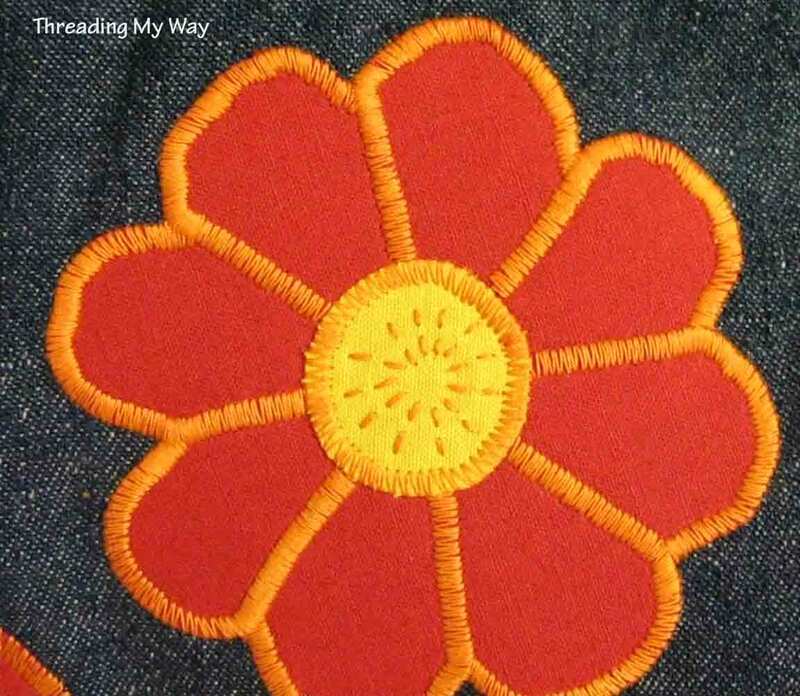 I did two rows or orange hand stitching in each yellow petal and two circular rows of stitching in the centre of each red flower. 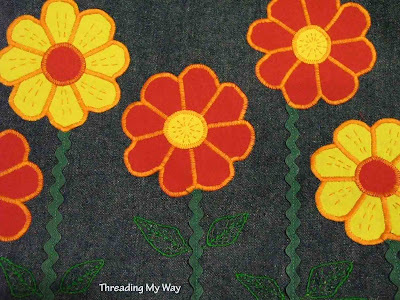 Green ric rac forms the flower stems and the leaves, of various shapes and sizes, are hand stitched. 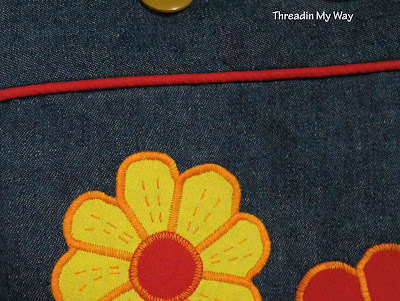 The appliqué and hand stitching were, by far, the most time consuming elements of the tote. The bag itself, is just a simple tote, with boxed corners and a band at the top. I chose a heavy weight denim for the outside of the bag. 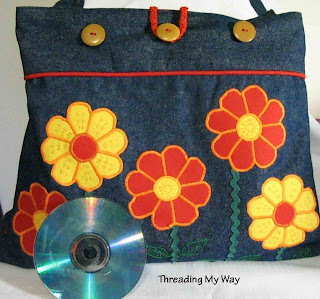 To give structure to the bag, I used quite a heavy, woven, sew in interfacing. 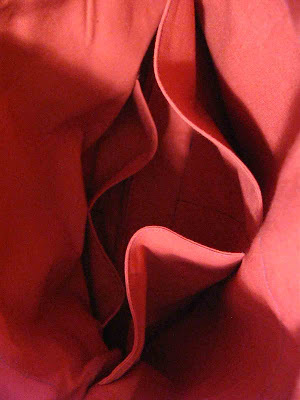 The interfacing in the handles, is medium weight, sew in and non woven. The bag and the band at the top are separated with red piping; the same red fabric as the flowers. Piping is so easy to make and to sew, especially when it is in a straight line like this. 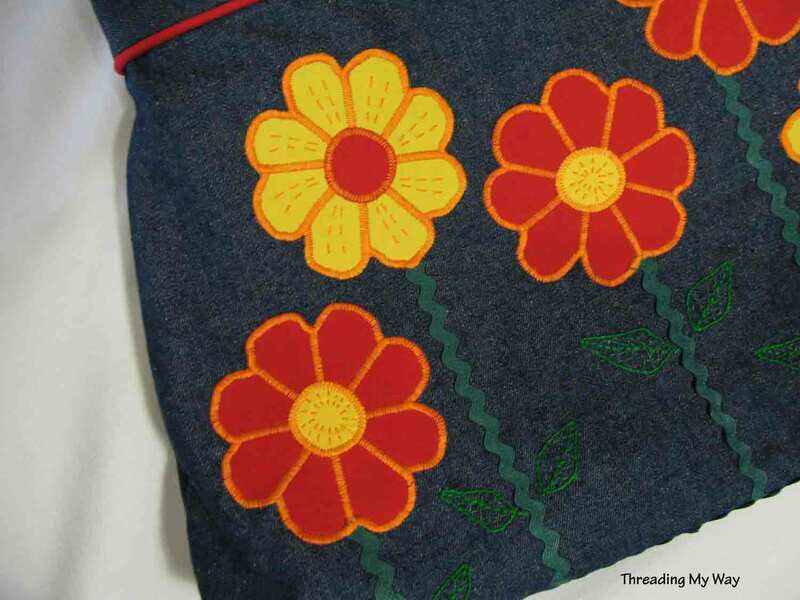 The inside is lined with quilting cotton, the same red fabric as the flowers. I've sewn two pockets on one side of the lining and three small pockets on the other side. I wish I knew how to take decent photos of the inside of a bag. The top closes with a simple button and a plait of bias tape. I wanted to use red ribbon, but had none. The only red I had was store bought polyester bias tape. This was too thin by itself, so I simply plaited three strips of the bias tape to form the loop. When I set out to make my tote, I was determined to only use items from my stash. I did it!!!! 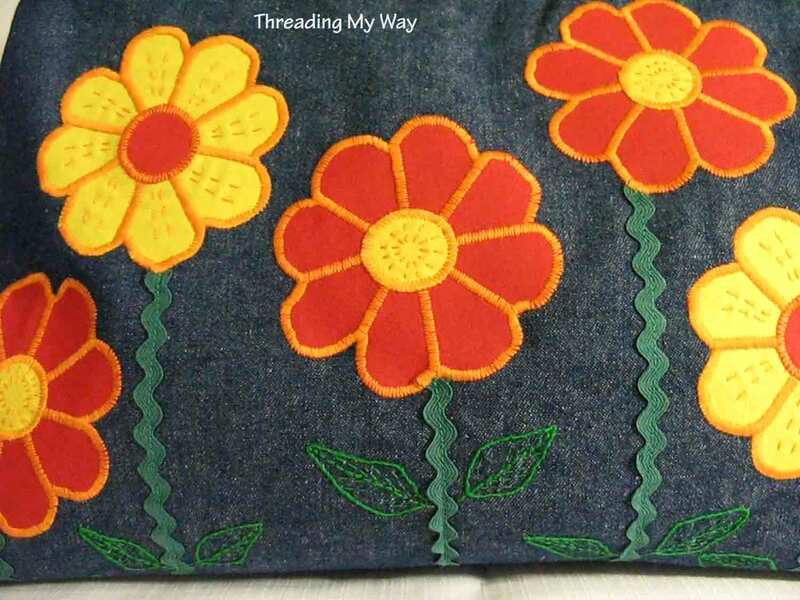 Every single item came from my stash: denim fabric, quilting weight cotton fabric, green ric rac, green embroidery thread, buttons, piping cord, interfacing, bias tape for the plait and all threads. The orange thread used on the flowers, is genuine thread from the 70s, that has been patiently sitting in my sewing room, waiting to be used again. 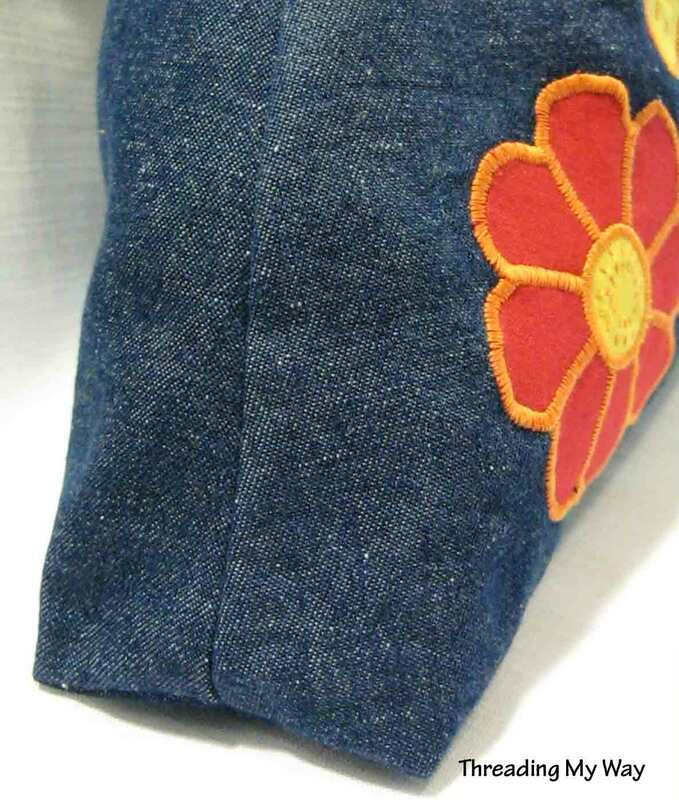 Put the ric rac under the flowers before they are ironed onto the fabric with fusible webbing. The apppliqué stitching, where the ric rac joins the flowers, is not as neat as I would have liked, as I doubled the ends and put them on top of the flower, causing too much bulk. 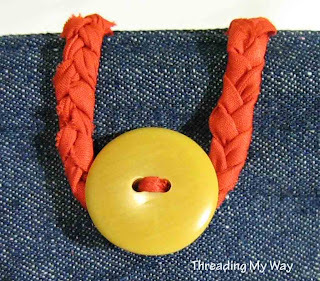 The plait forming the loop for the button, could have been a tad longer. I found this hard to measure. All in all, I am VERY pleased with how my tote turned out. Initially, I was unsure of the colours I had chosen, as they are rather bright, but I wanted to steer clear of the purples I had used for my retro pillow. I definitely wouldn't use this tote if I was wearing pink. 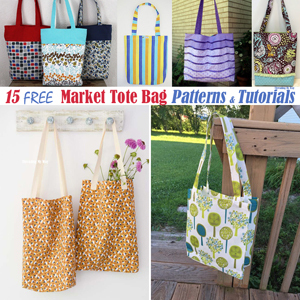 The shape, size and style of the tote are exactly as I had planned. The CD gives you an idea of the size of the tote. Yes, I know, the CD is covered with scratches. It's my coffee coaster for my sewing table. 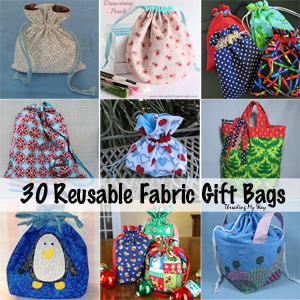 Next time I make this tote, I'll put a zippered pocket, or maybe two, inside. I'll also take photos of each step and do a tutorial, showing how I drafted the pattern for the bag, so you can make one. So bright so cheerful carrying this tote bag. Your design is GREAT. Wow it looks really good. I love the flowers. Just wonderful Pam! So great you managed to do it ALL from your stash! It's such a cute bag - love the plaited bias tape for the closure! Fantastic!! 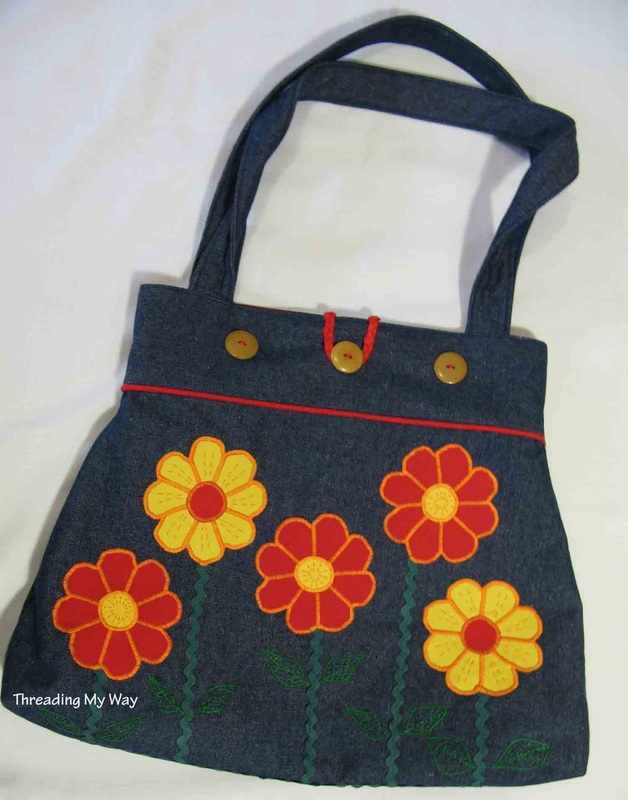 The flowers are bright and well detailed and I really like the shape of your tote! The tote is very pretty, Pam! I love how you explained the process..the thoughts behind each step. The flowers are so cute. The bag reminds me of a skirt for a little girl. :) I just adore this bag. You are my sewing idol! Great work Pam! Your flowers came out great and I'm in love with the shape! LOVE IT Pam!!!! Turned out wonderful! This turned out great! The braided loop is awesome. A detail I will have to file away to use one day. Can i vote now! Oh i just have fallen in love with this tote! BTW i am yet to get started on mine! That looks fanatstic - rick-rack makes everything look so happy. That's such a cute bag! This looks amazing! 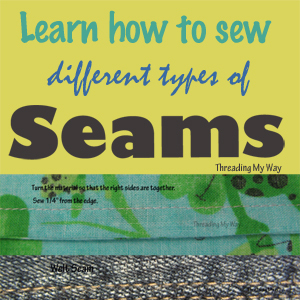 Did you zig zag on your sewing machine or do your have an embroidery machine? I am a first visiter and now follower! I love to get inspired by the creativity of others! Thanks so much for visiting my blog! You've done a brilliant job! 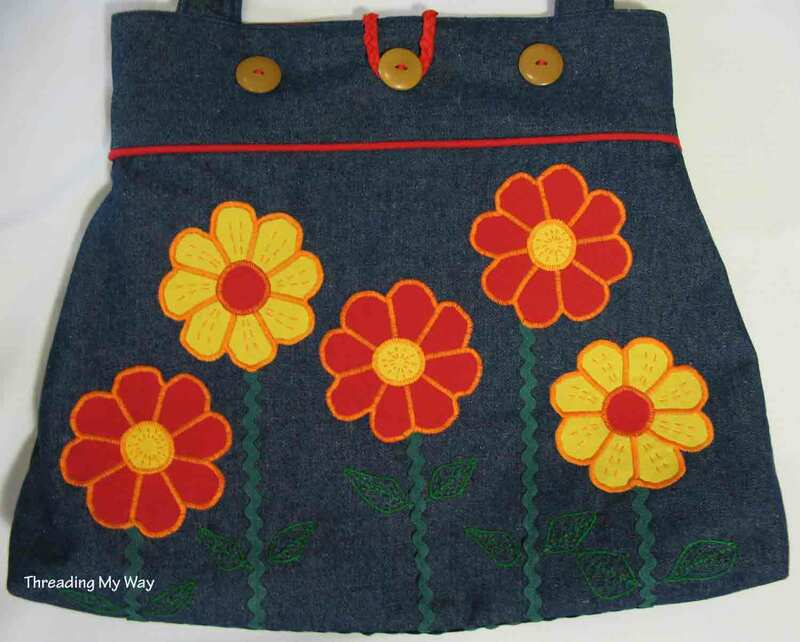 I love the applique... your choice of colours look fantastic... sorry for the late comment... I'm slowly catching up with all my reading! very sweet!! well done - lots of work in that baby! OH I do love your bag....those flowers are beautiful. I am with you just how do you get go shots of the inside of a bag. @Wee Little Birds... I wish I could take better photos of the inside of bags. I used a strong light, as I didn't want to use a flash, but it's still grainy. I should take photos outside, as I think I'd get better results. Thanks for linking to a Round Tuit Pam! Very Cute! 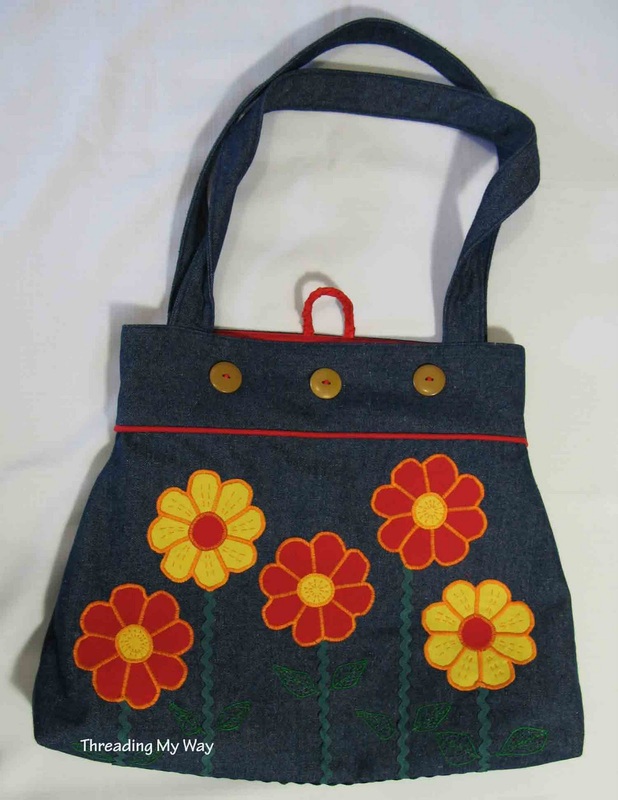 I love daisies so I really love this bag! Great job. Here is my recent creation. This is adorable! I love that 1970's look too. Beautiful. Love the bright flowers.Good luck in the contest. I have a giveaway going on right now. I would love you to stop by and enter. I wanted to join this too! Unfortunately, I knew there would be no time to complete anything before Christmas, but I am glad you could. :) YOUR BAG IS ADORABLE! I love the bright cheery colors. :) Also, your applique stitches are so neat!!! Thank-you so much for adding your creativity to our Pin'Inspiration Party this week. Happy follower and would love if you popped by and grabbed a button. This turned out great. 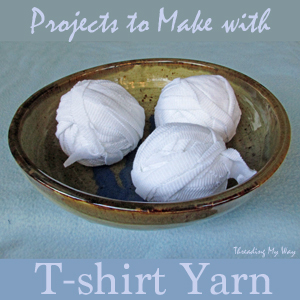 Thanks for linking to Things I've Done Thursday! Darling! Darling! Darling! I love this tote; the orange flowers just sing to me. Great job! 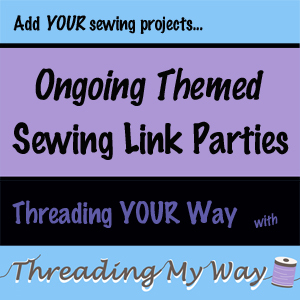 Thanks for posting at Sew n Tell Saturday! 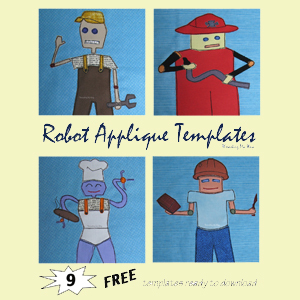 I hope you win the tote challenge! 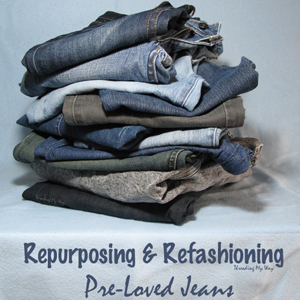 i kove the red piping with the denim. Such a cute idea! And Thanks for sharing on Six Sister's Stuff on Strut your stuff! We hope to see you there again! This bag is definitely something special, I love the piping too (that's on my "want to try list"). Did you ever do a tutorial? If so, I cannot find it?! Can you help me? Great work!! Those colors together are awesome! 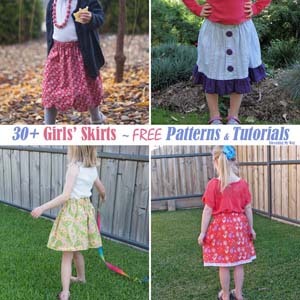 Love the many pockets, who doesn't?